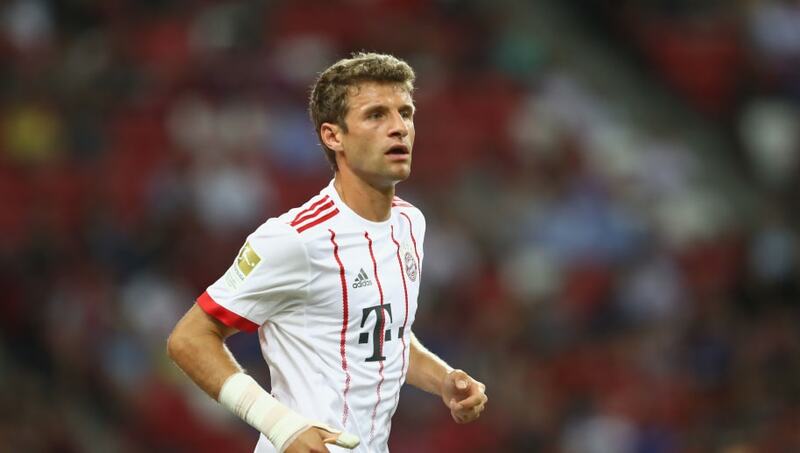 Bayern Munich's Thomas Muller has discussed the influence that the Chinese Super League has had on football in the last few seasons, branding the current footballing world as a 'very crazy time'. Over the last few years, some of football's biggest stars have upped and left for the mega rich shores of the Chinese Super League. The likes of Hulk, Jackson Martinez and Oscar have all been seduced by the financial gain over in Asia, and Muller seems to understand the pull factor that the money has. “It is a difficult position for us players because first, to play football is our profession,” he told Goal. “So we earn our money with that but also you have to think about the best competitions are in Europe. You have to decide. “But I think the top, top players who have the mindset to win competition every year, every year on a high level, they stay in Europe and maybe when they are over the peak but also on a good level, they can go around the world and see things that can also be interesting. Muller himself is in his peak years of his career, and can still obviously compete at the highest level of football - his trophy cabinet doing more than simply justifying such a claim. But perhaps he too could see himself venturing away from Europe during the twilight years of his career, with America also becoming quite a popular destination for those beginning to wind down their playing time.